The teams at Mercure Aix Les Bains Domaine de Marlioz hotel welcome you to the Savoie region. Make the most of our beautiful parkland to rest and rejuvenate, enjoy being pampered at our Institut & Spa or visit our restaurant and satisfy your taste buds. Lake, mountains, and a 10-hectare park, Mercure Aix-les-Bains is ideal for your business/leisure stays. Hold your meetings in our 720 m² rooms, near the city center and train, and enjoy golfing, horse races and the casino. Visit the restaurant, institute or spa (16+, 9 a.m.-10 p.m. Closed June 17-26, 2019). Winter access to La Féclaz & Revard ski resorts; summers, visit Chambéry, Annecy, Lyon or Geneva. 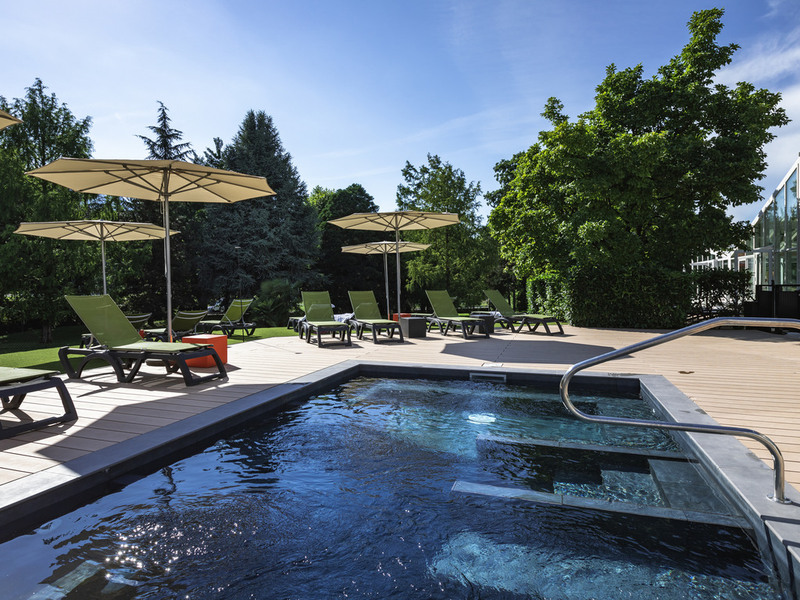 Right in the middle of the Marlioz hot springs park, Mercure Aix-Les-Bains Domaine de Marlioz is ideal for exploring the Savoy region. Discover Annecy, Chambéry, the Chateau of the Dukes of Savoy, or enjoy a cruise on the Lac du Bourget. Our "Amadeus" bar is open from 7am to 11pm daily. Be inspired by our varied menu! When the weather is nice, enjoy your favorite drink out in the sunshine or under the shade of a parasol.